For a first deposit bonus use a PKR bonus code when making a deposit, more details below. PKR is the first 3D Poker software released where players can fully customize their player character and play poker in a realistic virtual casino. 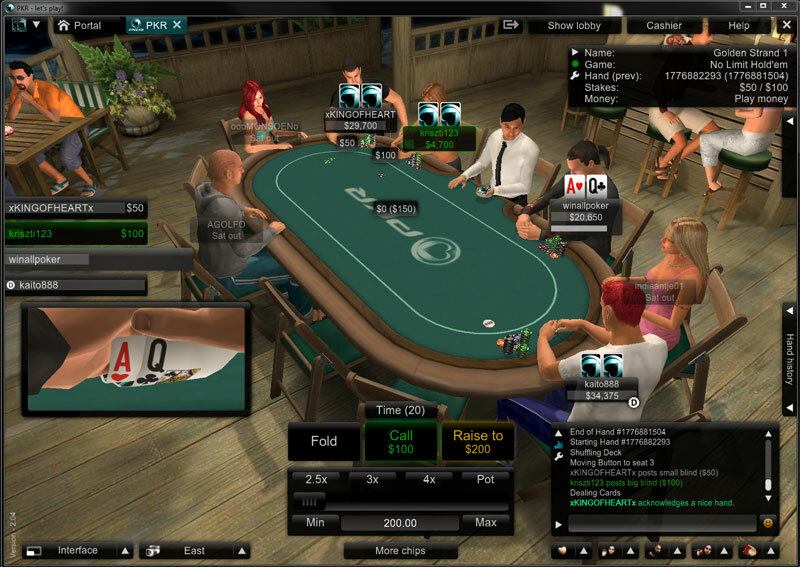 PKR Lite is also available as 2D version of the poker client. Texas Holdem, Omaha, plus side games: Caribbean Stud Poker, 3D Blackjack, Roulette and Video Poker. 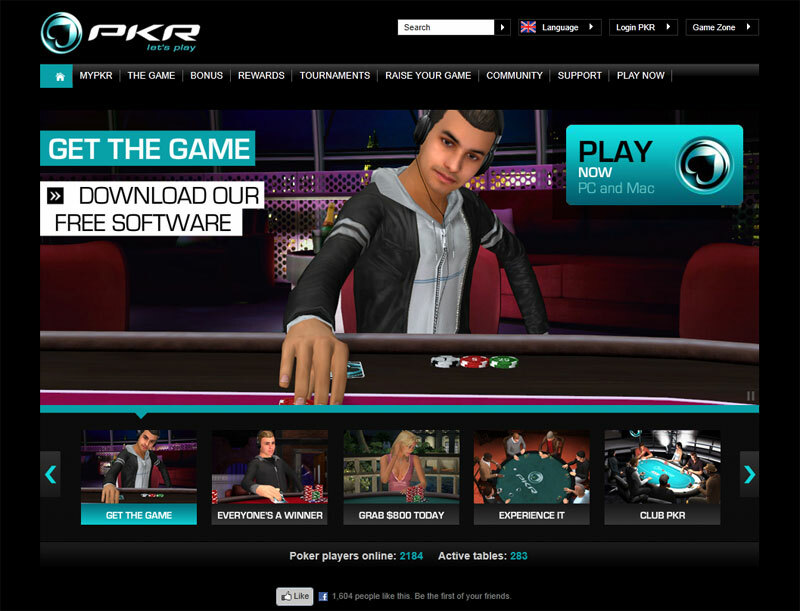 Get the PKR Poker download here and install the software, which is available as a 3D poker or 2D poker download from the PKR website. Make your first deposit using a pkr bonus code below for a bonus of your choice. Players will also get free gifts for making a deposit. Get a $5 instant poker bonus at PKR, simply deposit $10 or more and play one real money poker hand to release the bonus within 24 hours of making a deposit. An excellent choice for beginners or micro stakes poker players. 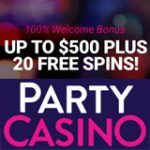 Get a 100% first deposit bonus up to $150 when depositing a minimum of $25. Players must clear the bonus within 60 days of depositing, the pending bonus is released in increments of 5% of the deposited amount at a clearing rate of 300 PKR Points earned per $1 of the bonus. 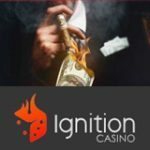 Get a 125% first deposit bonus up to $500 when depositing a minimum of $150. Players must clear the bonus within 60 days of depositing, the pending bonus is released in increments of 10% of the deposited amount at a clearing rate of 400 PKR Points earned per $1 of the bonus. 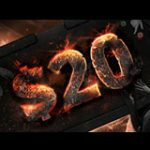 Free entry to $2,500 depositors freeroll every 2nd Sunday of the month. Upgrade to access Club PKR benefits. 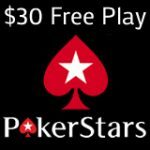 PKR Premium freeroll tournament tickets for $3,000 in prize pools. Earning PKR points is simple, every time a player plays a real money poker tournament or cash game they earn points based on rake or tournament fees. For every $1 spent in tournament fees players get 100 PKR points, this include SNG games and online poker tournaments. 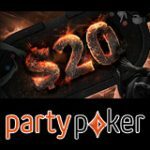 In cash games PKR points are awarded based on the amount a player has contributed to the table pot which is then divide by the other players at the table. Players can use their PKR points to purchase PKR merchandise from the PKR store, players can also use their points to upgrade their player character or to purchase PKR tournament tickets.